Landis+Gyr has applied the latest electronic technology to its range of flexible, reliable and innovative magnetic card prepayment meters. 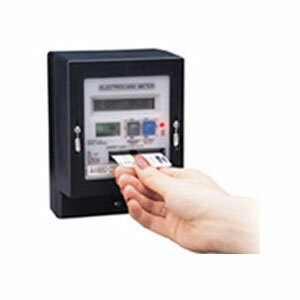 Available in single phase (single and twin element) and polyphase variants, the Landis+Gyr magnetic card prepayment meter offers a cost effective solution to secure revenue and reduce debts from nonpayment of bills. The use of disposable tokens allows low infrastructure cashless transactions from the utilities to the consumer meter. All of the CPM family of meters are offered with Landis+Gyr or Edmondson card options to simplify integration into existing utility agreements.